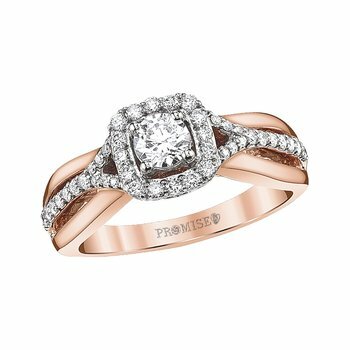 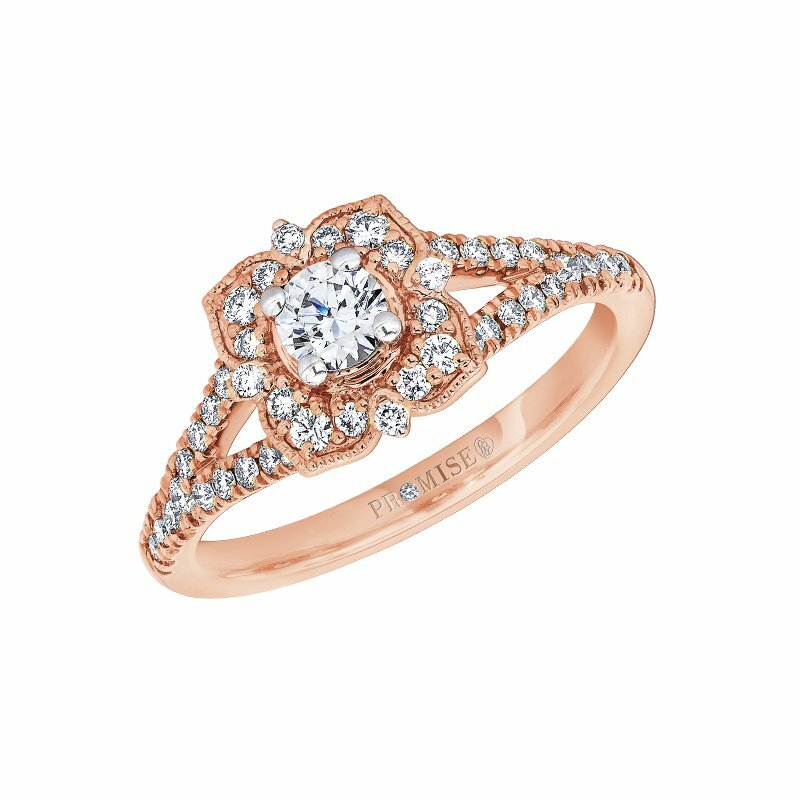 Evoking a vintage sensibility, the Sara engagement ring radiates with romantic rose gold and twinkling traces of glittering diamonds. 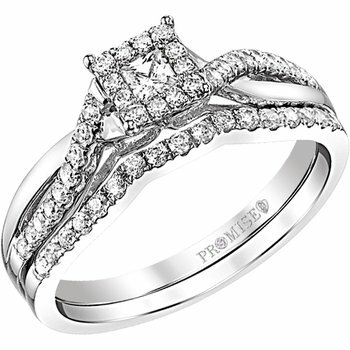 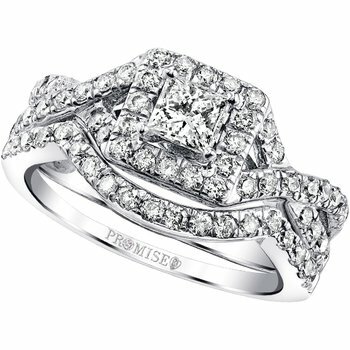 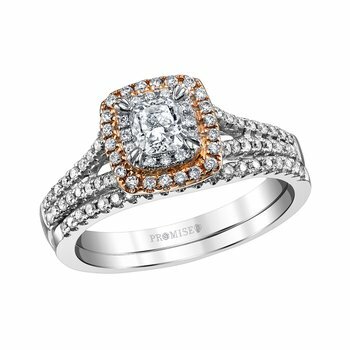 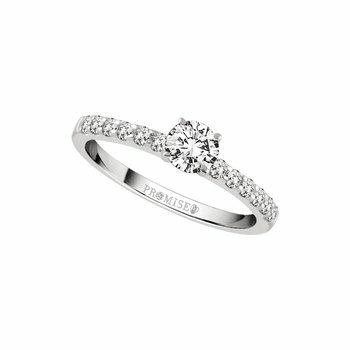 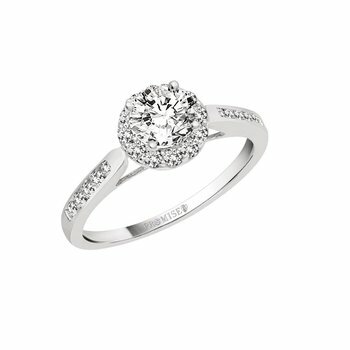 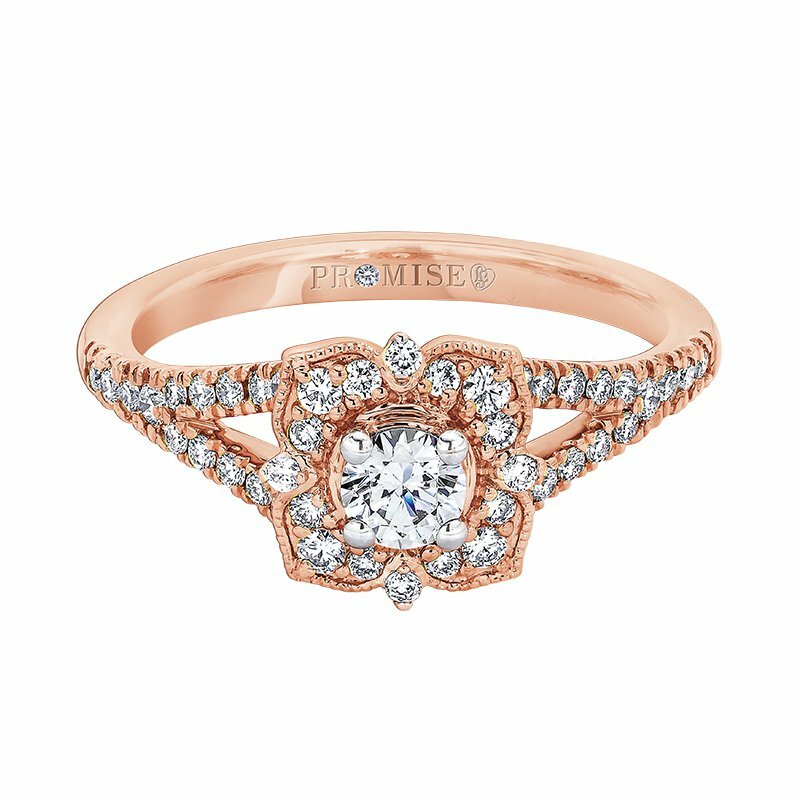 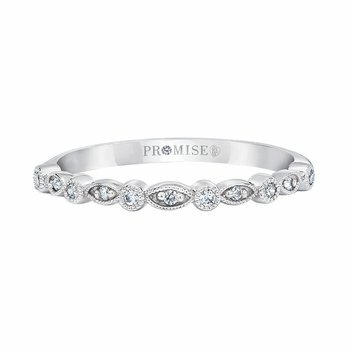 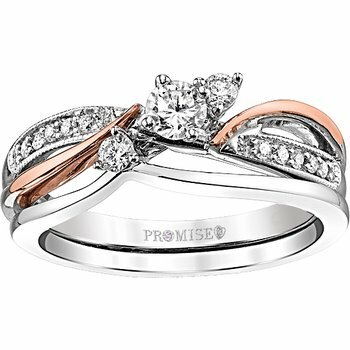 Yours from the Promise Collection by Love Story. 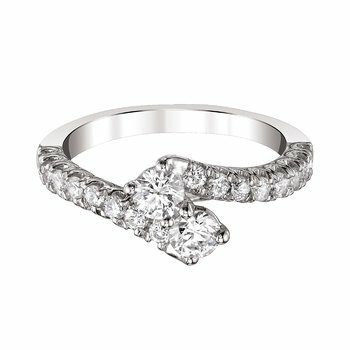 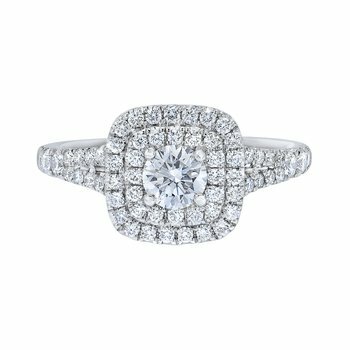 "SARA" 14K RG Diamond Engagement Ring 5/8ctw; 1 - .25ct Rd Ctr., 4 - .008ct Rd, 8 -.008ct Rd, 4 - .014ct Rd, 26 - .008ct Rd, 2 - .010ct Rd, 1 - .003ct Rd (all HI/I1) F DWT= 2.31 Promise Collection by Love StoryÂ® Diamond in the "O"